Brilliant Cycle Chic bicycle marketing from the Netherlands. It's from a Dutch advert for the bike brand Sparta. Read more about both the adverts in this post over at Copenhagenize.com. And it gets even better! This Sparta advert spells it out in no uncertain terms. 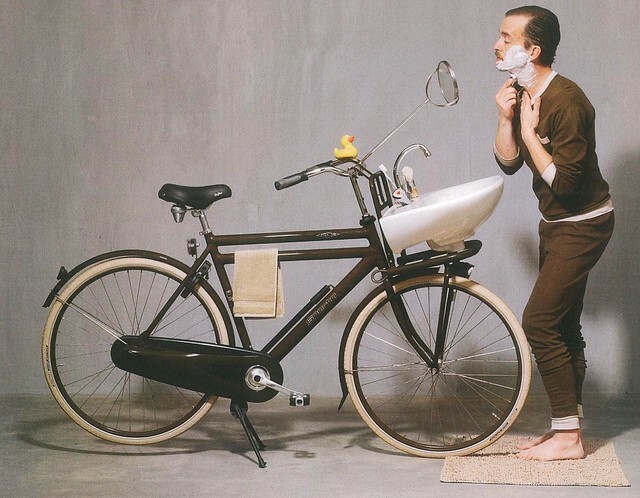 This bike will suit you. Urban living. The preferred transport for well-dressed businessmen. Brilliant marketing and Ultimate Cycle Chic. Hats off to de Fietsensmakers and Sparta. The advert is from de Fietsenmakers, a bike shop chain in the Netherlands. 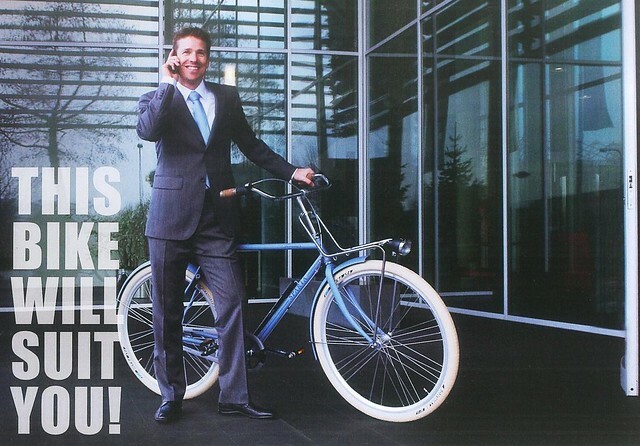 If you buy this bicycle, you get a 'matching' Morgan Stanley suit - with a value of €389 - free! For the full text on the adverts, read more at Copenhagenize.com. Great film work. I love my Biomega Amsterdam -- no more chain grease on my pants.